The Extracurricular Activities programme at Agora Portals International School offers opportunities for students to learn new skills or develop old ones, and is intended to enhance and enrich their mainstream education. 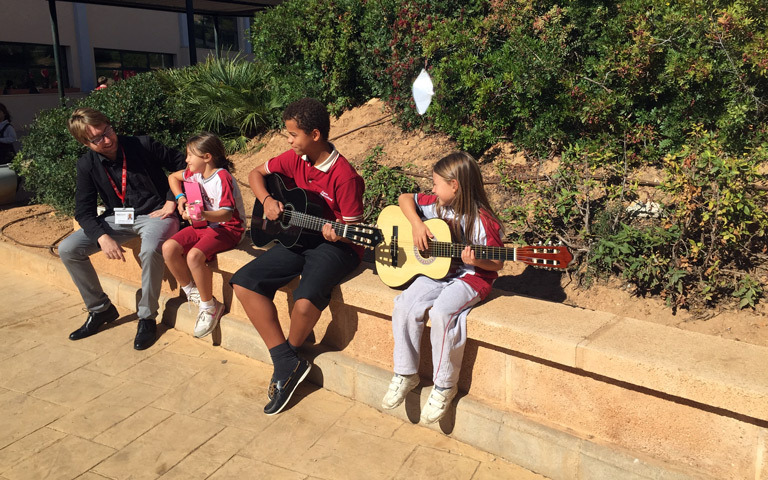 Pupils can choose an extracurricular activity at our Language or Music Academies, participate in sporting, recreational or cultural activites or choose from a range of trips and excursions. 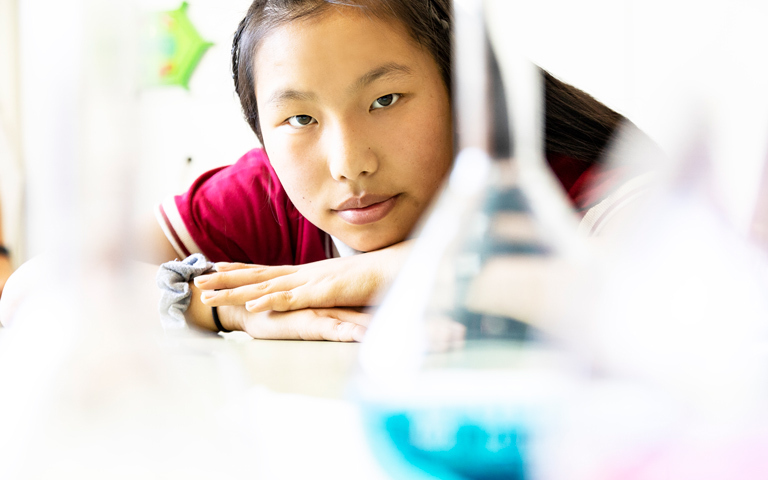 Extracurricular activities take place after school hours and help to enhance physical, intellectual and social development, in addition to offering other benefits such as better time management and organisational skills, improvements in cognitive and motor function and increased self-confidence and motivation. Our onsite Language Academy offers classes in English, German, Chinese and Spanish, delivered via a practical and efficient methodology by highly-qualified, native teachers. The teaching groups are small and are organised according to the needs and abilities of each student to ensure maximum progress from each child. 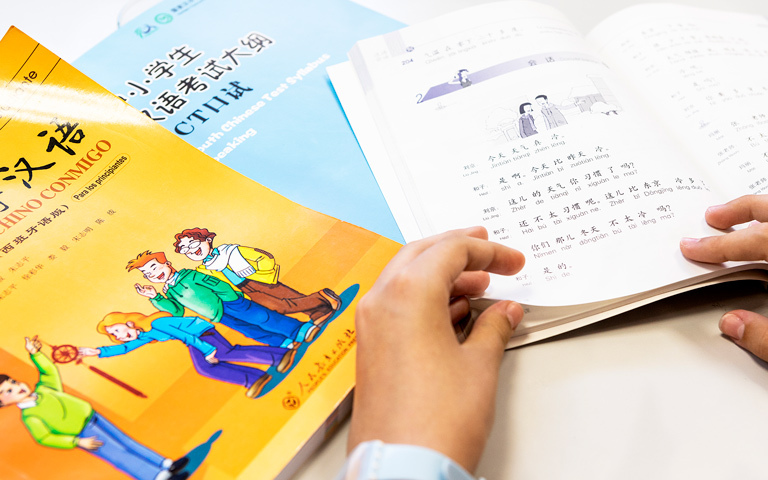 Classes are offered at all levels, from beginner to advanced, and students are able to sit official language examinations, including the Confucius Institute’s Youth Chinese Test, or Spanish Language Certificates from the Instituto Cervantes. Agora Portals International School is officially certified as a Music Academy, licensed to teach and examine both Elementary and Professional Grade music qualifications. Music forms an integral and important part of our main school curriculum and we believe it to be an essential element of a broad and balanced education. Additionally, via our Music Academy, we offer a full extracurricular music programme for both Agora Portals International School and external students. Extracurricular musical activities that are currently available at our Music Academy include (amongst many others! ), classes in music theory and harmony, modern and classical music, chamber music, Spanish guitar and drum lessons. At Agora Portals International School, we offer a complete programme of sporting activities designed to encourage students’ physical and cognitive development, and which, in addition to the evident benefits to health and physical well-being, promote values such as self-confidence, cooperation and teamwork. From our extracurricular programme pupils can choose activities such as swimming, skating, judo, yoga, multi-sports, self-defence, golf or badminton, or, via our Sports Club, they can participate in activities like chess, football, rhythmic gymnastics, athletics, rugby, volleyball and basketball. Agora Portals offers an extensive range of technological and creative activities to students of all ages, including Arts & Crafts, Robotics, Coding, 3D Modelling, Fun Science, Study Skills and Business Games. These activities open up a world of possibilities; students learn via structured, practical and motivating programmes that foster creative and entrepreneurial thinking and promote fundamental skills such as problem solving and decision making.